As we well know, high-street giants H&M are not afraid to think big. Their previous collaborations with Alexander Wang and Lanvin demonstrated a tenacity to embrace the higher end of fashion. In their current collaboration, they’re teaming up with high-fashion brand Kenzo. While Sweden is famous for its meatballs and flat-pack furniture, less people unite the country with fashion. Despite this, Swedish multinational H&M is the second-largest fashion retailer in the world, with a staggering 4,000 stores worldwide. Back in 1947, founder Erling Persson aimed to sell fashionable clothes at affordable prices. Originally a women’s clothing shop, “Hennes” acquired hunting retailer “Mauritz” in 1968 and created a menswear range, becoming the H&M we know today. Their fast-fashion approach has lasted the years, and their trademark is current trend clothing and staple basics at very reasonable costs. But in 2004, they went a step further by collaborating with fashion designer Karl Lagerfeld. With large crowds and products selling out within an hour, they realised they were on to a winner. With 10 years of collaborations under their belts, they have worked with Stella McCartney, Viktor & Rolf, Madonna, Kylie Minogue, Roberto Cavalli, Marimekko, Comme des Garçons, Matthew Williamson, Sonia Rykiel, Jimmy Choo, Lanvin, Versace, Marni, Maison Martin Margiela, Isabel Marant, Alexander Wang, and Balmain. In 1970, Japanese designer Kenzo Takada founded luxury French fashion house Kenzo. Having moved to Paris from his native Japan to follow his fashion desires, his fusion of European high fashion and Japanese influence created a unique style. His first boutique was “Jungle Jap”, complete with jungle-inspired décor and handmade clothes for women. In 1983, he added a men’s range, then home and kids collections in 1987. He was renowned for turning the kimono into high fashion. Takada was designer until 2000, then Humberto Leon and Carol Lim joined forces in 2012 as creative directors and head designers. Like Takada himself, their aim is to “shake up the world of fashion” and subvert expectations. As such, they’ve retained the jungle vibe with iconic tiger patterns. They’re fond favourites of celebrities, with their designs adorning the likes of Beyoncé, Zooey Deschanel, and Lorde. Their avant-garde collaborations are with artists, actors, and musicians as well as fashion designers. As well as fashion, Kenzo stand up for marine wildlife, supporting the Blue Marine Foundation charity and using their fashion to create awareness. 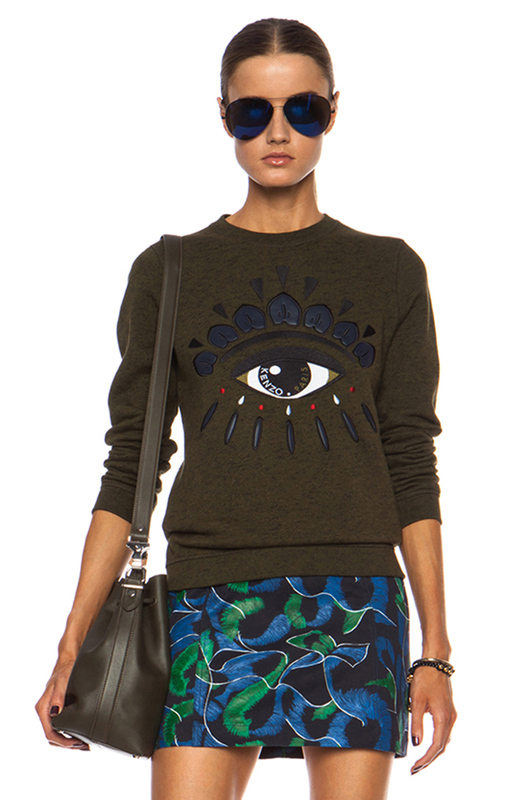 Kenzo x H&M = ? In their recent collaboration, Kenzo x H&M crashed hm.com and some items are retailing at 4x their original price on eBay. While H&M has experienced mixed fortunes with their designer collaborations, they undoubtedly benefit from increased and new customers, improved media coverage, and higher price ranges than their normal items. Likewise, Kenzo gain publicity, reach a different market, and are paid handsomely by H&M, as well as benefitting from their advertising clout of. It’s a win all-round, especially for the average customer who is able to buy ordinarily unaffordable designs from luxury and high-fashion designers at a fraction of the cost. In the Kenzo x H&M collection, released early November 2016, we’re treated to a dizzying array of boho designs, loud colours, and bold patterns—Kenzo’s trademarks along with H&M’s accessibility. 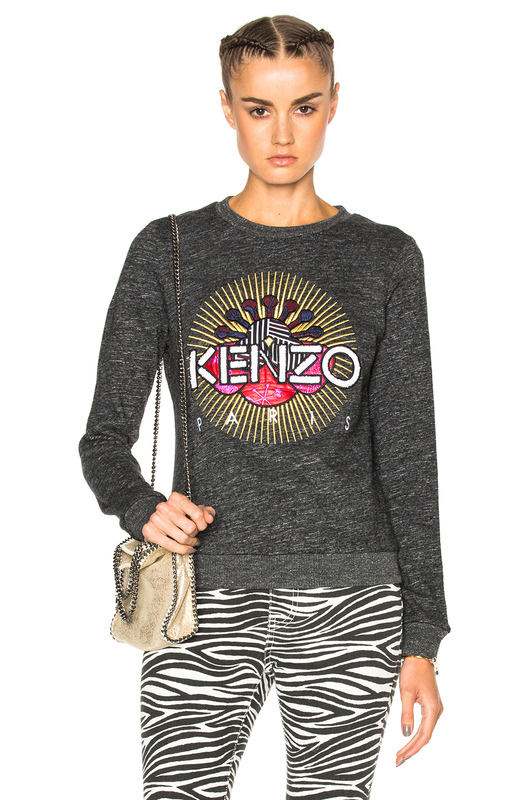 From cosy turtle necks to chic logo sweatshirts, the collection is packed full of Kenzo’s signature tiger print. Some key pieces in the collection are the quilted kimono-sleeve bomber jacket with floral embroidery, a kimono outerwear coat, and a floral ruffle dress with wide sleeves and contrasting animal print. East truly meets west—and high street marries high end—in this collaboration between two fashion worlds.